Apple has released a security update for its new Mac Pros. 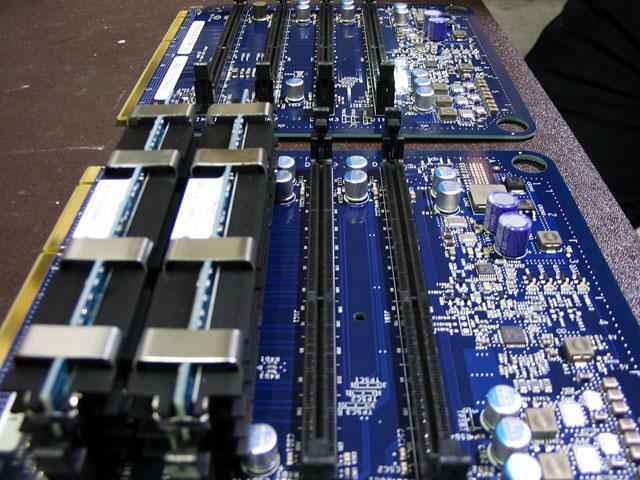 Meanwhile an unpacking and take-apart pictorial of the new professional desktops has been posted online. And Adobe is readying a major update to one of its Mac apps. Apple this week released Security Update 2006-004 for its new Mac Pro (2.3MB) systems running Mac OS X v10.4.7 (build 8K1079), and systems running Mac OS X Server v10.4.7 (Universal). Although the majority of the fixes released in last week's Security Update 2006-004 were built into Build 8K1079, two were left out because they were not fully tested in time for the manufacturing of the Mac Pro. The latest update applies those two fixes, which pertain to maliciously-crafted TIFF images and a loophole in remote login that could allow remote attackers to cause a denial of service attack or determine whether an account exists. Earlier on Thursday, Apple released ExpressCard Update v1.0 (492KB), which resolves an issue that prevented MacBook Pro systems from sleeping when some cards are inserted in the ExpressCard/34 slot. The guys over at PowerMAX have posted some unpacking and take-apart photos of the new Mac Pro. Some notes of interest include: the return of the standard power plug to Apple's Pro desktop line, four independent internal power cords present, giant heat sinks atop the processor modules, and rumors that the video cards in Mac Pro systems are non-SLI compliant. Some of the Mac Pro component suppliers are as follows: Sony (optical drives) Seagate (250GB internal hard disks) and Nanya (RAM modules). Also, as clearly shown in the images, the Intel Xeon chips are not soldered to the motherboard and can be swapped. On a completely different subject, reliable sources indicated that Adobe is prepping the release of its next Mac application, a major update to its Web site management software, Adobe Contribute. Due sometime in the next few weeks, Adobe Contribute 4 will remain a PowerPC native application. However, sources say a Universal version will be released around the same time as Creative Suite 3 in the first half of 2007.